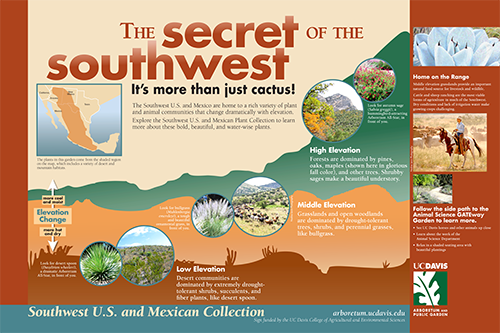 The Southwest U.S.A. and Mexican Collection includes trees, shrubs, and perennials adapted to heat and low rainfall. Many of these plants flower in summer, since they evolved with summer rains. The Montezuma bald cypress was grown from seed from the largest specimen in Mexico.